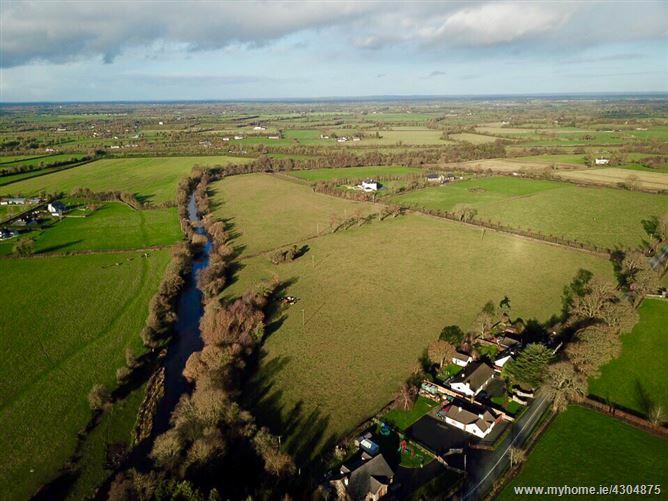 The lands are situated just outside Naas, convenient to Sallins (2 km) on the Naas/Osberstown Road. 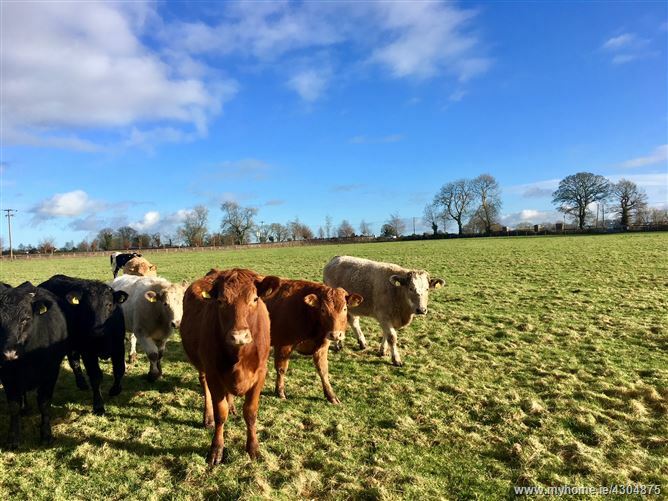 Naas is a thriving County Town with a population of 21,393 (Census 2016) making it the second largest town in Co. Kildare. 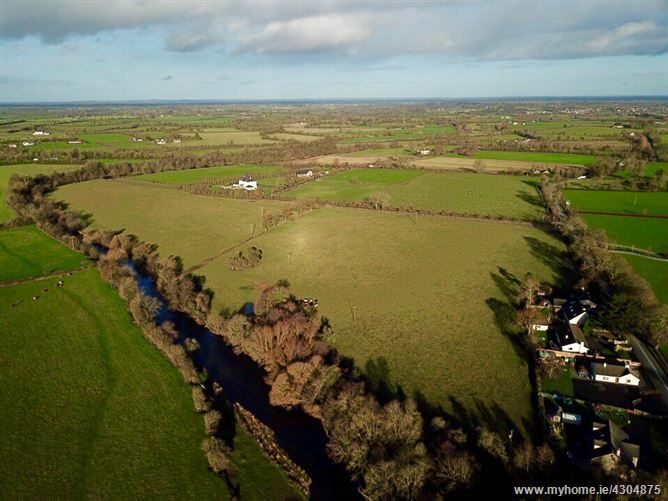 The lands are all in permanent pasture with good road frontage and extensive river frontage on the Liffey. The property is in an ideal situation for a residence (subject to the usual PP. It is very convenient to the M7 and accessible at Junctions 9 and 10 - Sallins Village and Naas Town. 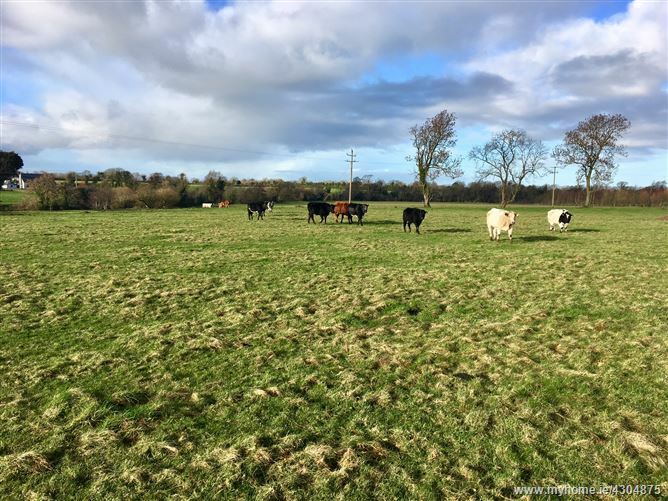 The property is outside any zoned area or settlement boundary as defined by Kildare County Council and there are no buildings on the land which are subject to planning permission. 2.1 km and the property for sale is on the right hand side. Jordan sign. Take the R445 towards Naas, Exit Junction 10 (Bundle of Sticks) take first exit at next roundabout (Rathangan) go for 1 km, turn right at next cross (Floods), got straight through next cross roads and go for 2km, property is on left. Jordan sign.